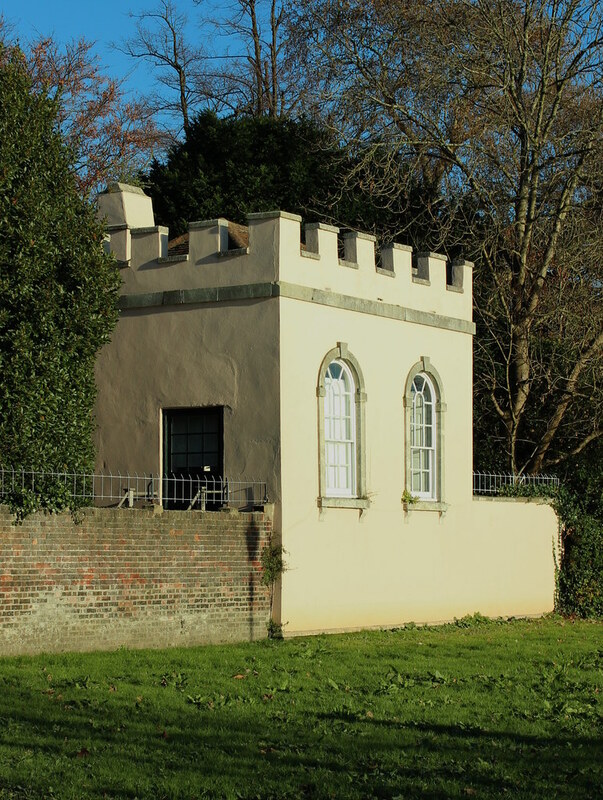 Standing directly on the popular Thames promenade in Richmond, this small tower-like building is probably a familiar sight to many Londoners. Its crenellated parapet gives the structure an almost medieval look, but the large round-arched windows betray its eighteenth-century origin: It was built around 1760 as an architectural garden feature for Trumpeter’s House, which, at that time, was in the possession of one Lewis Way, a barrister of the Inner Temple, Director of the South Sea Company and President of Guy’s Hospital. Trumpeter’s House itself had been erected shortly after 1700 between Richmond Green and the Thames, on the site formerly occupied by Richmond Palace. Lewis Way added two wings and an impressive portico to the building, as well as the summer house at the rear end of the extensive gardens, which stretch all the way to the river. In many respects, it is this position on the waterfront that determined the design of this ‘miniature tower’. After all, its primary purpose was to provide its owners a view over the river. Thus, while the garden side has a solid, closed appearance, there are two large windows looking outwards, and the building’s main level is raised above ground by an elevated basement. One might perhaps even describe the summer house as a kind of free-standing theatre box – with the boats and passers-by outside providing the entertainment.